Gov. 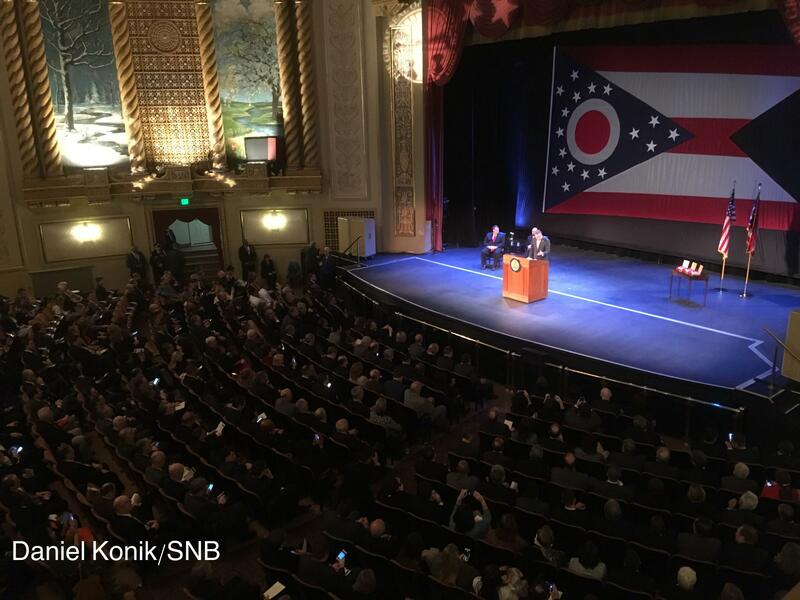 John Kasich delivers his seventh State of the State speech in Sandusky on April 4, 2017. Budget, taxes, education, drugs - Gov. 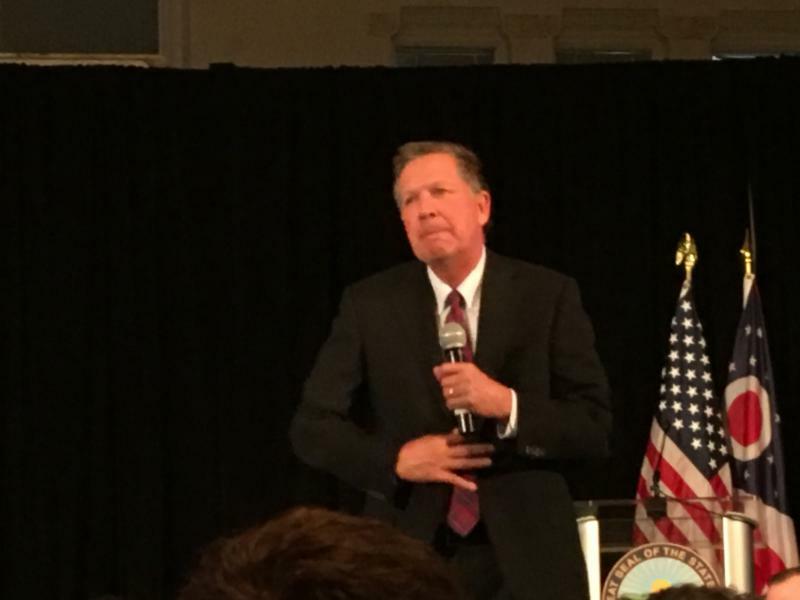 John Kasich covered a lot of ground in his State of the State speech in Sandusky. And he also made a little news. He also talked up a task force he wants to see of business and education leaders to look toward jobs of the future. On the subject of education, he again mentioned two controversial ideas – a proposed requirements that teachers do internships at businesses to renew their licenses, and a plan to put three businesspeople on school boards as non-voting members. 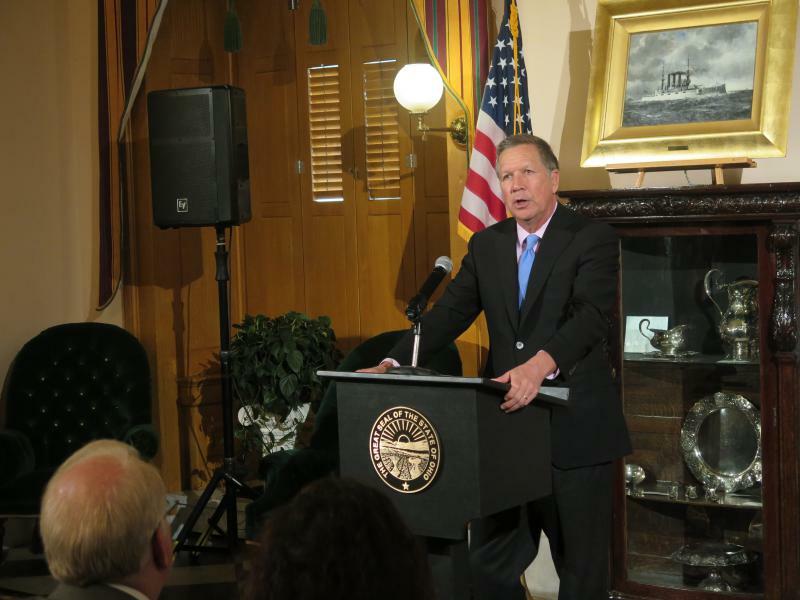 Kasich also continued his tradition of Courage Awards to people whose work he admires. This year’s winners were Toledo minister Dan Rogers, who trains and counsels people on keeping their lives on track so they can keep jobs; Columbus judge Paul Herbert, who started the CATCH Court in Franklin County to reach victims of human trafficking; and Damone Hudson, the Dayton bus driver who’s credited with saving a woman who appeared to be jumping off a bridge by stopping his bus and asking her if she wanted a hug. 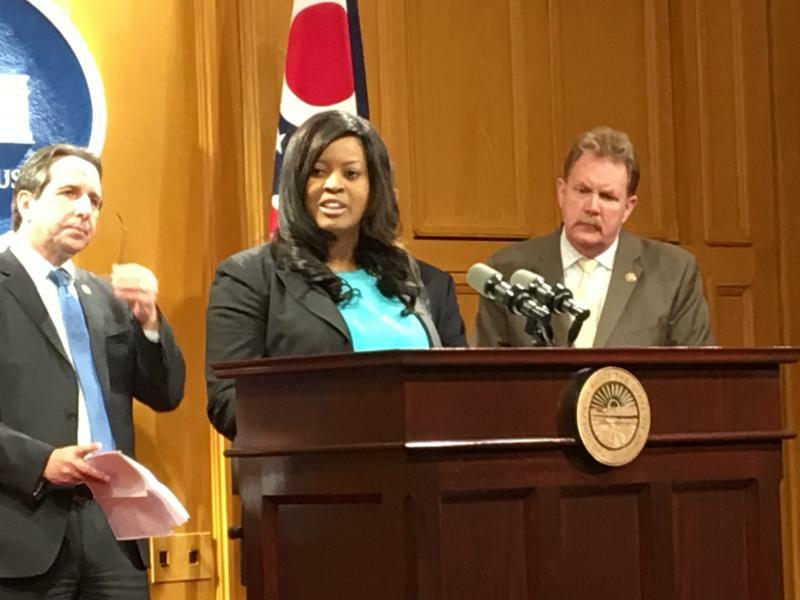 Some Democrats in the Ohio Legislature say they plan to fight the proposed tax reforms outlined in Gov. 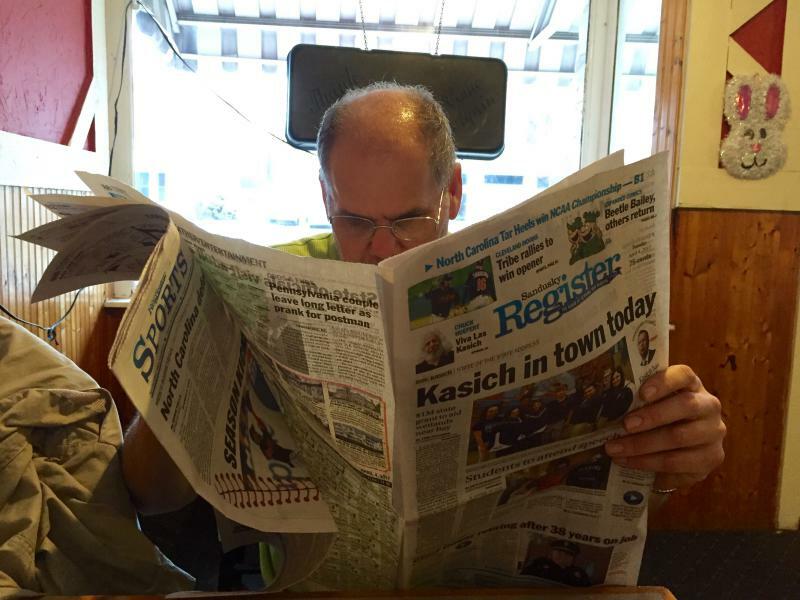 John Kasich’s proposed budget. Gov. John Kasich has been warning for months now that tax revenues coming into the state are below expectations and that the upcoming two-year state budget will be tighter than in the past. His recent speeches have taken on a new theme. Gov. John Kasich is implementing rule changes for the way medical professionals can prescribe opioids. This plan comes just one day after majority Republicans in the House announced a bill that would accomplish many of the same goals. Gov. John Kasich is taking the state government on the road to Sandusky for his annual State of the State speech. 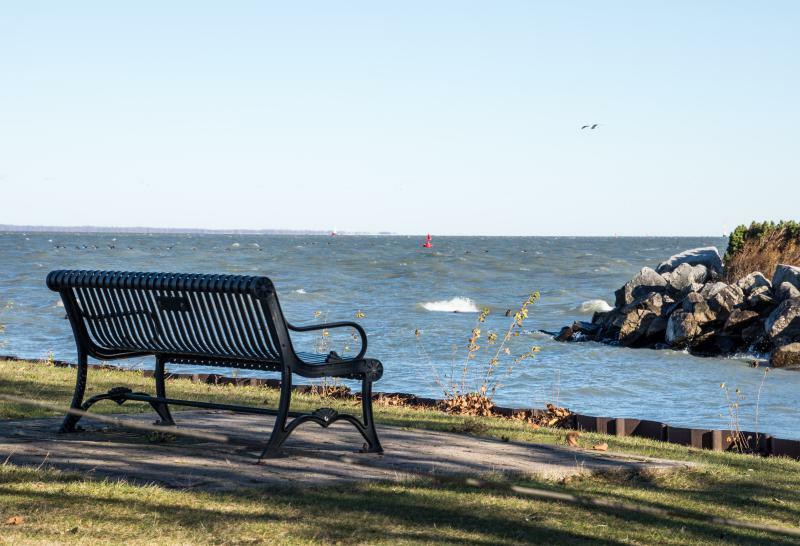 The city that sits on the coast of Lake Erie is preparing to tell Kasich and other leaders what they need to know about their town. There are many stories to tell, with one common thread. Ohio’s state government is taking its show on the road with Gov. John Kasich preparing to deliver his annual State of the State speech in Sandusky.